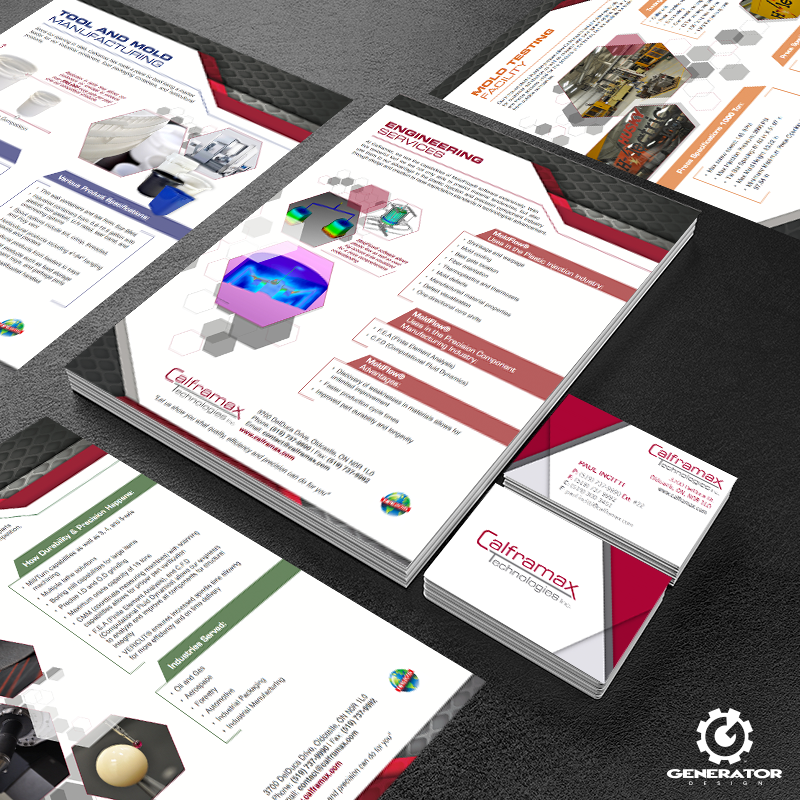 Calframax Technologies, a tool and mold company located in Oldcastle, approached us to expand their branding and better showcase their company to the public. 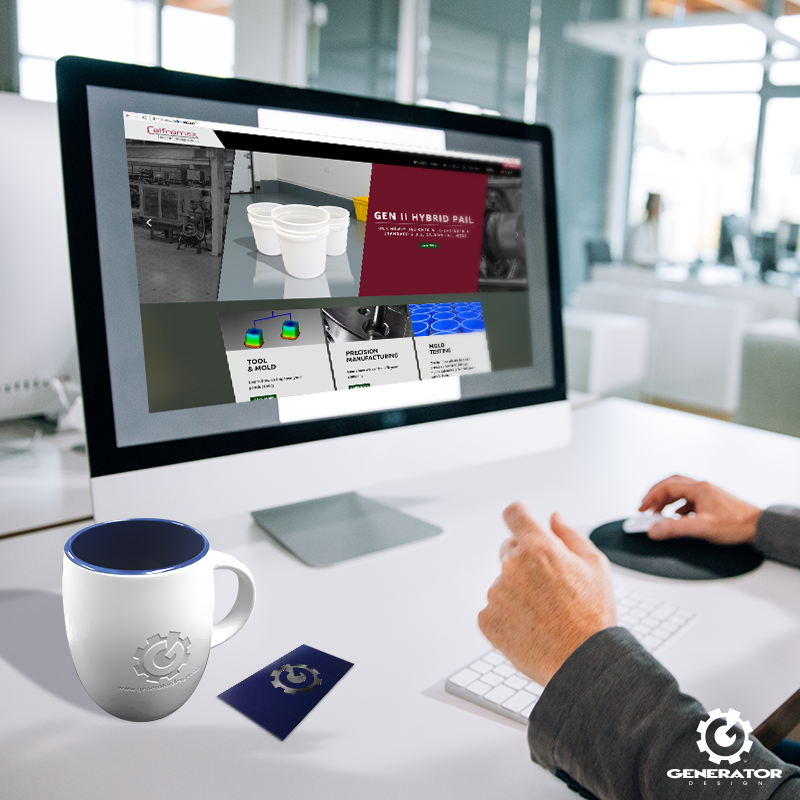 Specializing in precision component manufacturing, mold testing and spare parts, their focus is to exceed the expectations and goals of their customers. Our team set to work on a refresh of the Calframax brand. 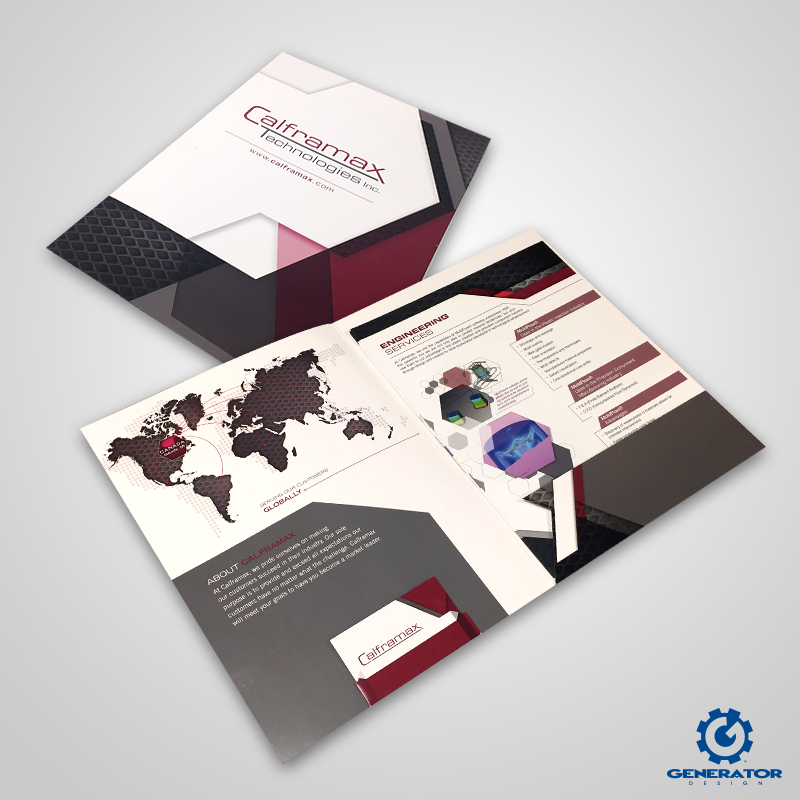 Supporting print material, including presentation folders, informational flyers, and business cards were created, carrying the Calframax brand throughout the design. 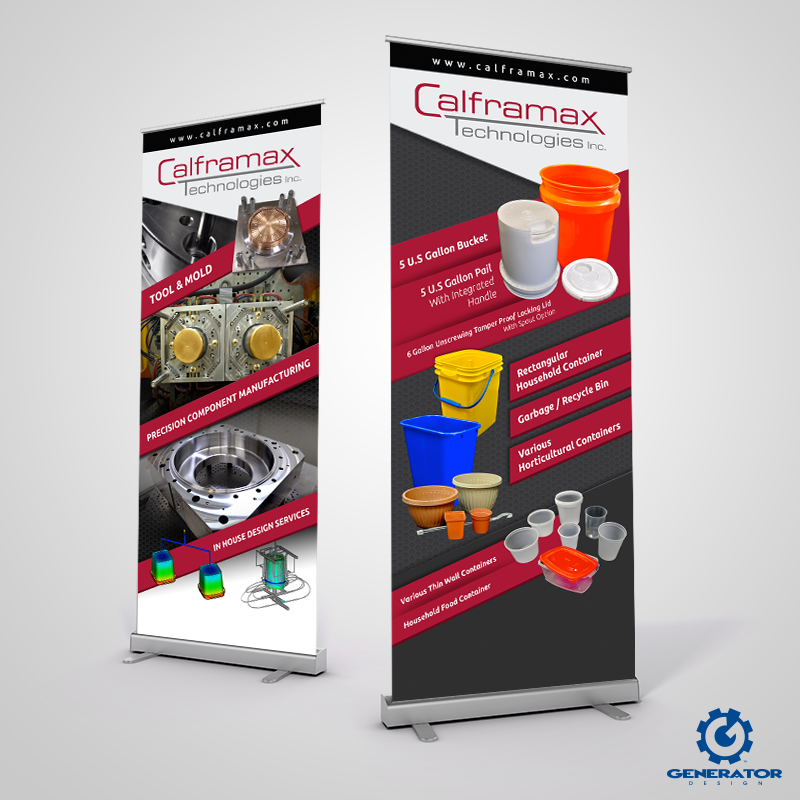 While in the process of developing the new site, we also designed and printed retractable presentation banners highlighting Calframax’s products and capabilities. 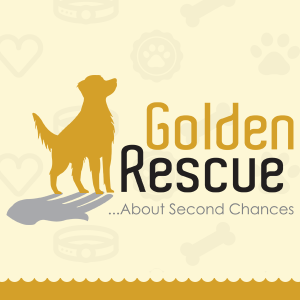 Have a look through the completed materials below and see how it all came together.